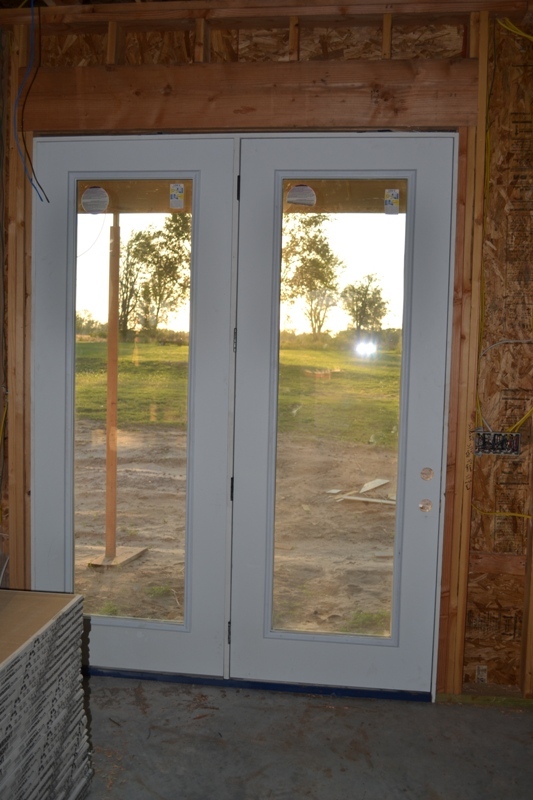 The work being done has picked up significantly and each and every evening we go to the house, there are more decisions to be made and choices to be confirmed with the trim carpenter (it’s fun)! So…as soon as I can capture a few photos without getting in their way (don’t want to slow anyone down) I will post them as often as I take them. 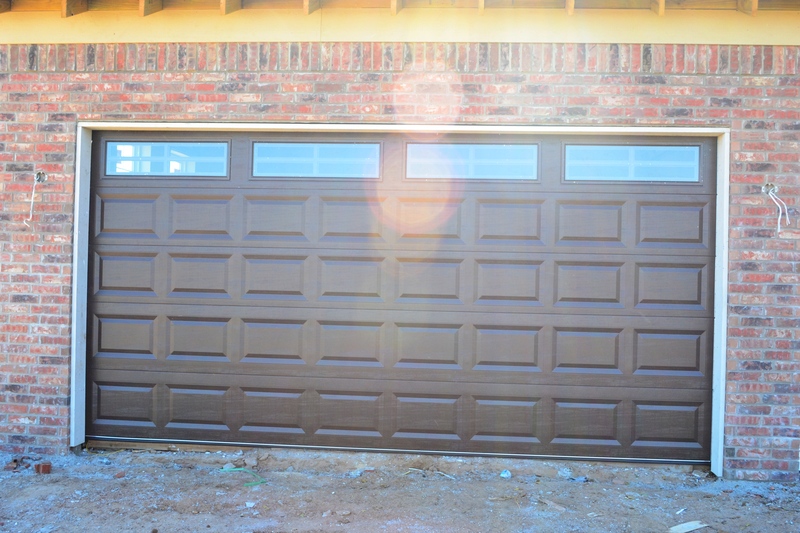 With “dust bowl” force winds (not really) and sun spots gleaming, we have achieved a semi-lovely photo 🙂 of our “approved by Eddie”, “let’s the light shine in” Newly installed garage door! Okay. We just stepped into the foyer and immediately to the left is the OFFICE. This beautiful wood floor will not be stained. It will, however, have a sealer put on…a little closer to the end of the build. 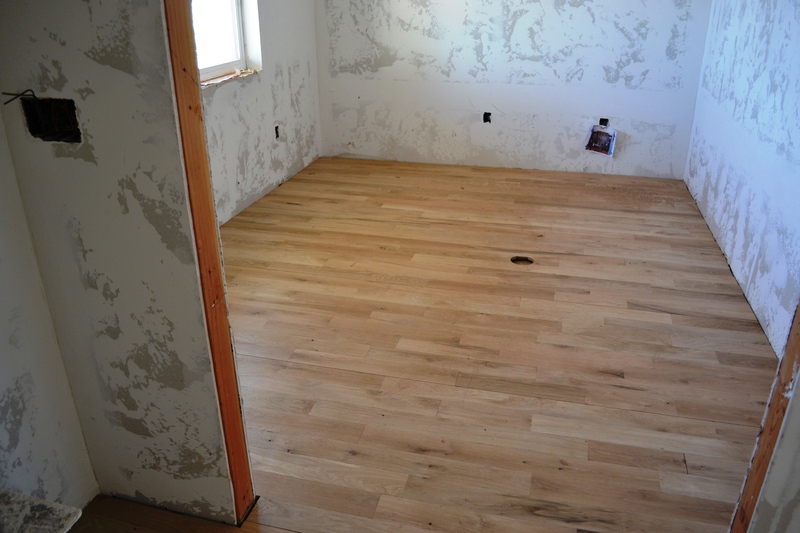 This wood flooring continues on into the dining and living room. Those photos are coming soon. 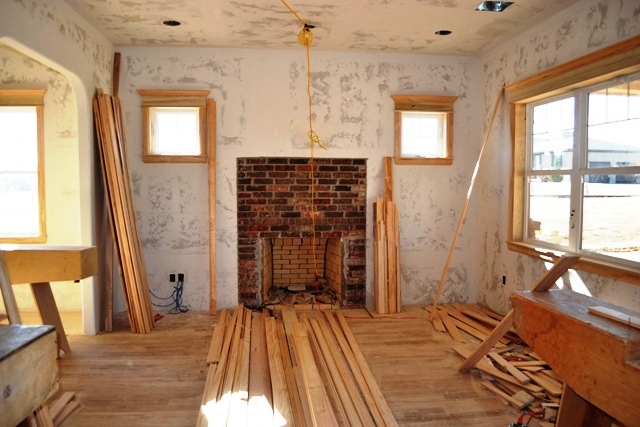 The trim carpenter is gearing up to build all of the cabinets and crown molding throughout…And work his magic on the interior of the fireplace. FYI: Got a sneak peek at the wood floors as they were going down, yesterday! We did not snap a picture out of respect for the guys trying to work. However…we are heading back to the house this afternoon and will definitely get a few photos! These guys were putting the flooring down FAST yesterday and have advised it will be completed today! Tubby tub tub has ARRIVED. 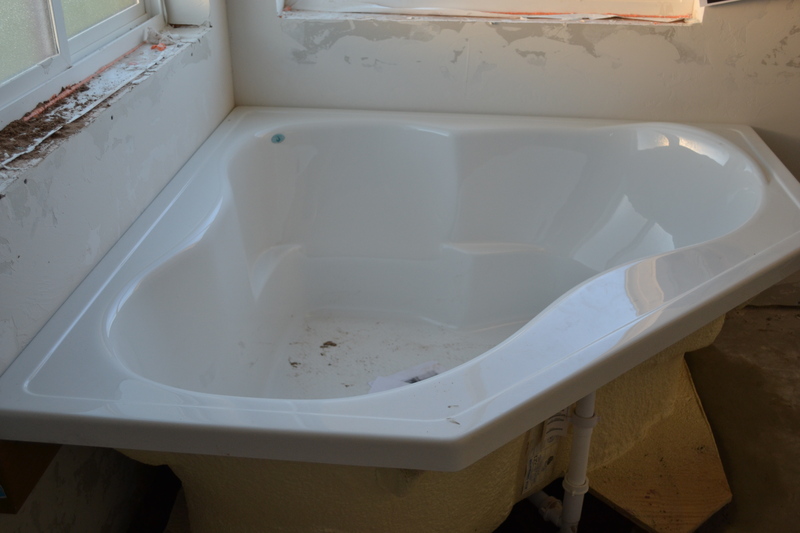 We shall revisit the tub AFTER it has been installed. This gentleman is our one and only brick guy. He is a bricking maniac. He’s awesome! The big ole hole in the wall has been closed in! NOW…this is NOT the finished look we are going for. 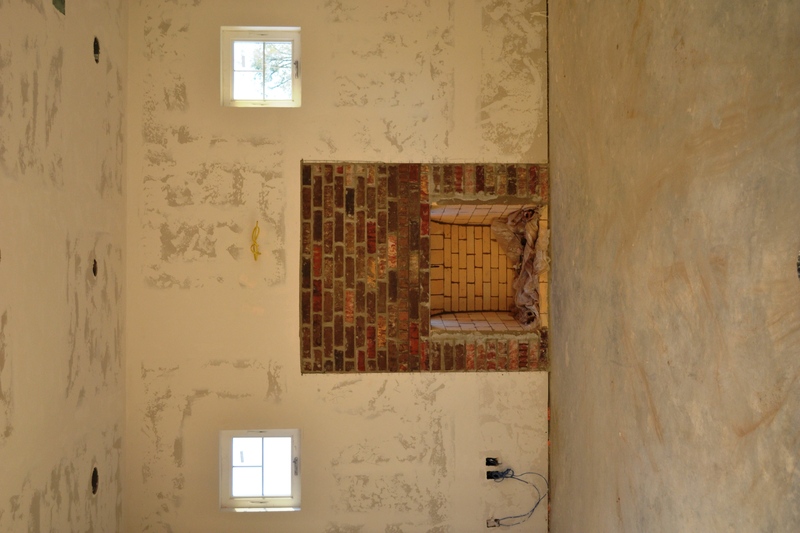 This is the fireplace BEFORE the awesome tile AND mantle go on. 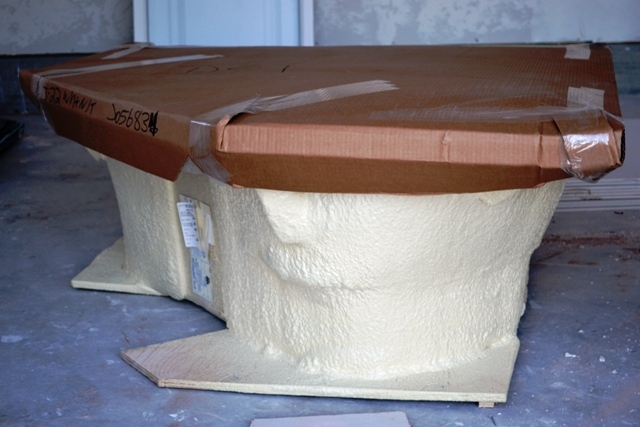 This is an actual Masonry fireplace and not an insert. It is literally built from brick, which is why you see BRICK. Everywhere. Lots of it. 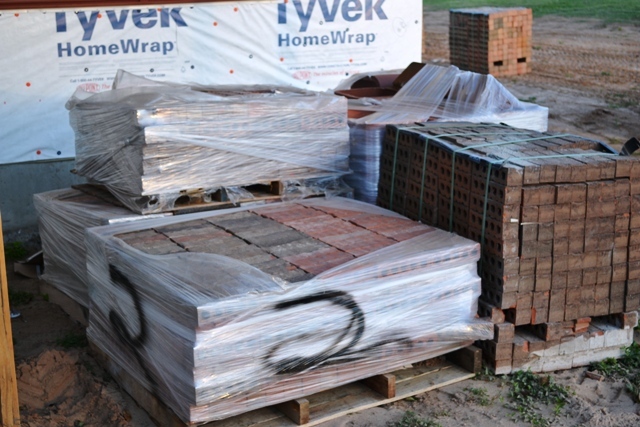 The brick you see will be covered with tile very shortly, and the look will begin to come to life. Word on the street is…the flooring is set to go down…in about a week. 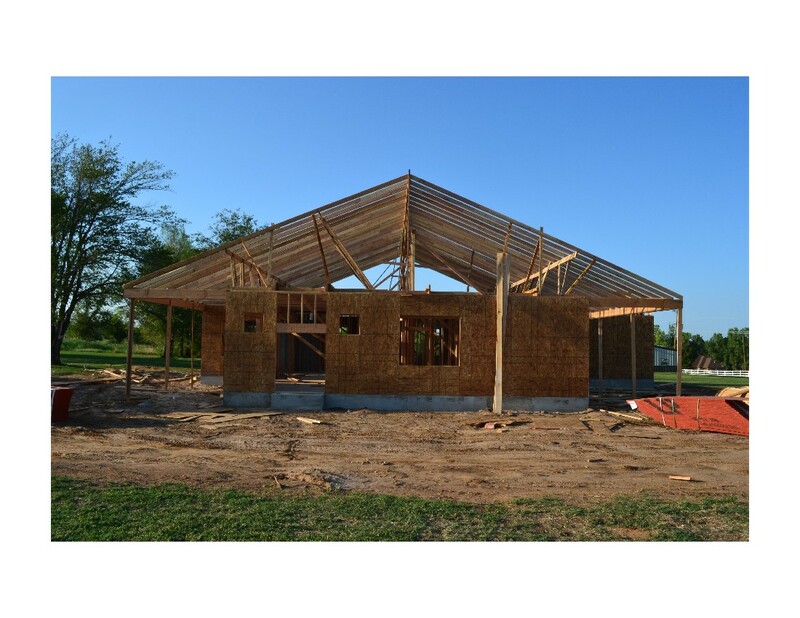 Here we are looking up at what will be our front porch. There will be three rock columns along the front of porch (wood on top and rock on bottom) and topped off with an awesome cedar colored railing that will encompass the entire porch. Now we will go inside for a very brief viewing of living room and dining area. Will sneak in photos of the other rooms shortly! 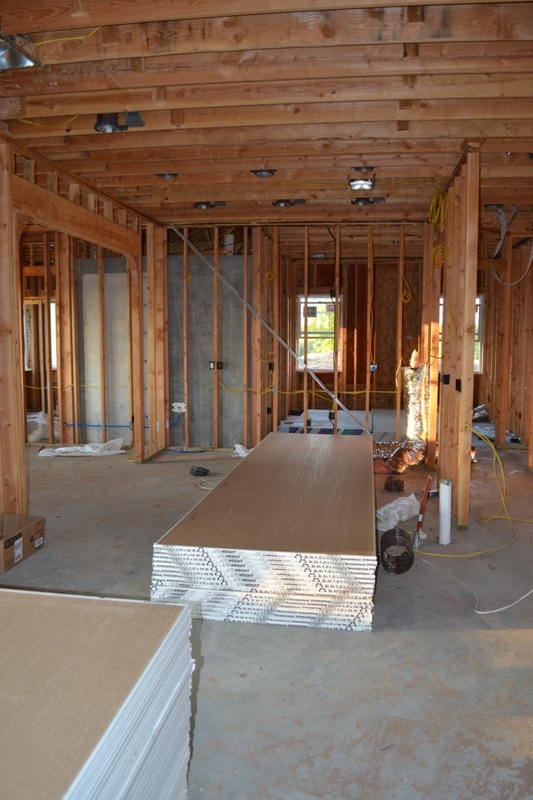 Standing in kitchen area, looking toward living room and dining area. (the breakfast nook is to my right and out of camera view). Since the fireplace is not a gas insert, it will need to be built, and that is why the opening is covered up with sheet rock, for now. The fireplace parts are just outside on the patio, waiting for their turn. 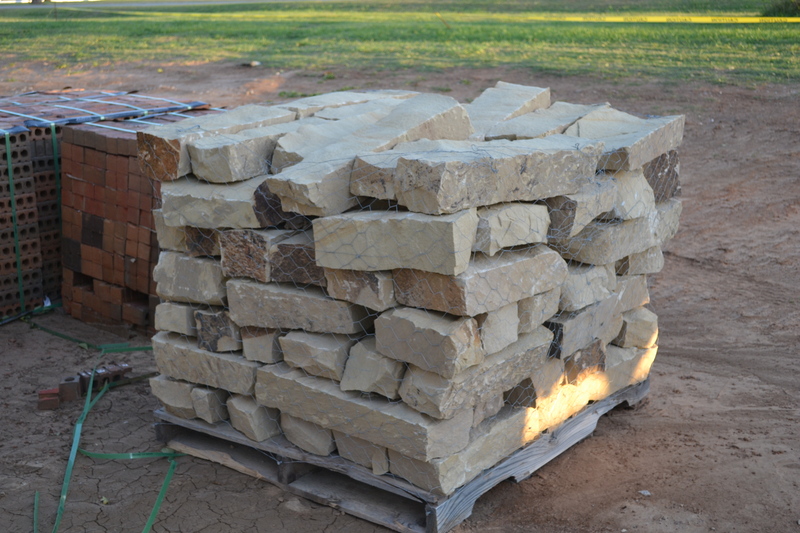 The beautiful rock that will be our front porch columns and will cap some of the brick around the house. The brick is going up! 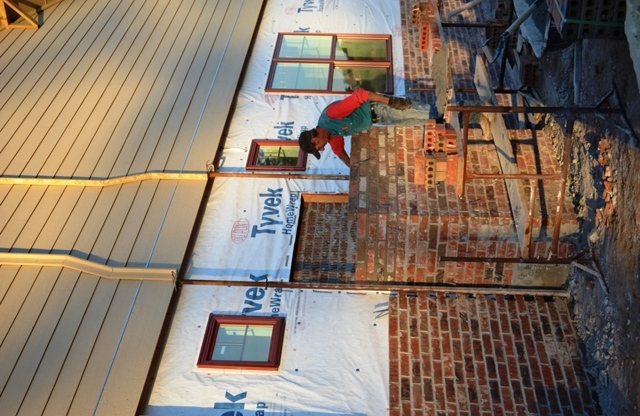 Brick going up on the outside of the breakfast nook. We went out to the house on Monday evening. 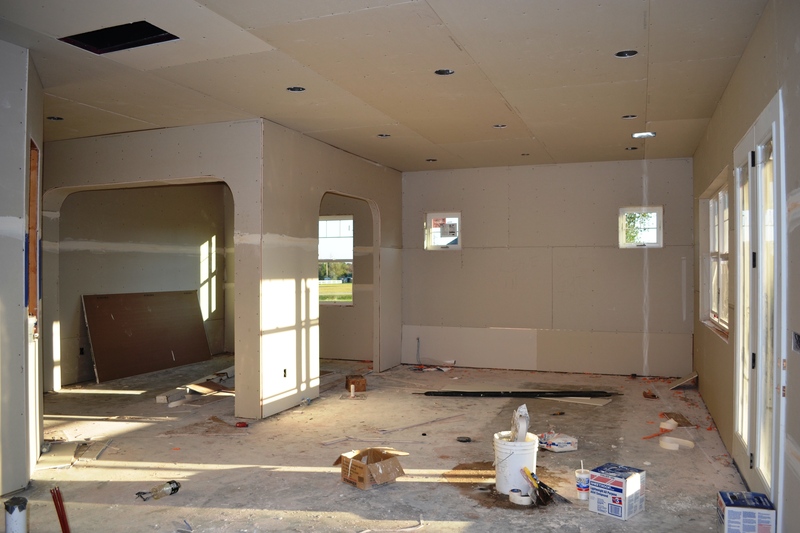 The sheet rock is DONE! Now, we are in the process of the famous Mud and Tape! From what I understand (Ed said) this process can take a few days. Will post them for all to see (soon as possible). Here is the fireplace recipe! Eddie designed the outside look, so you know it is going to have an ARTISTIC FLAIR. The brick is here! This brick looks beautiful on any house. It is called “Covington” and we fell for it as soon as we saw it on a few houses. 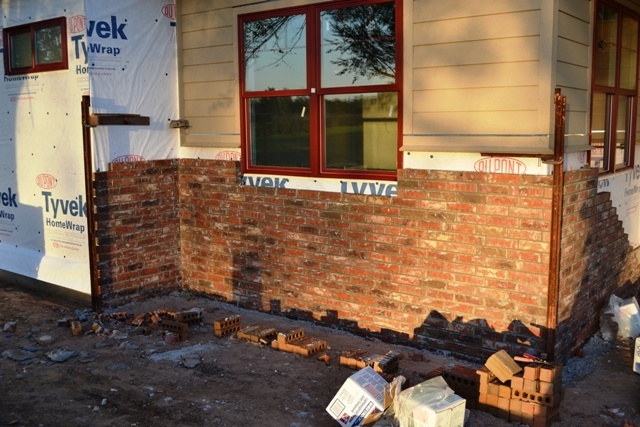 This brick will be on the lower half of the front of house, capped with rock. 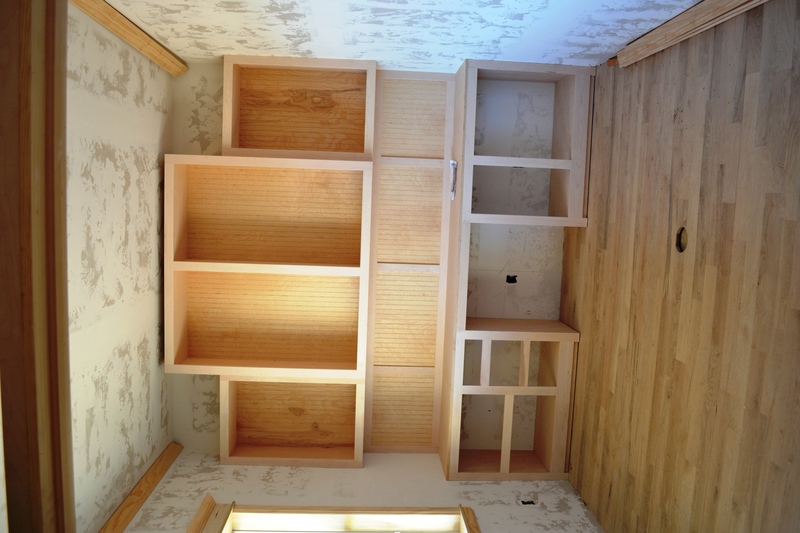 It will also be on the sides of the house, going up to meet the siding, as well as on the back side. Loved seeing this when we walked up to the house! 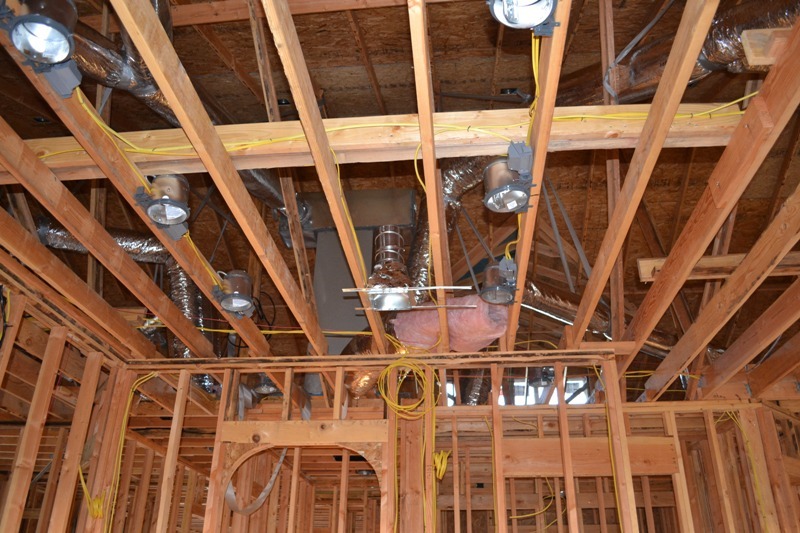 The insulation has been sprayed in and the ceiling is being sheet rocked! That big ole hole is going to be our fireplace! The mantle will be just above our heads. It is an actual wood burning fireplace. Not a gas insert. More work for us…but twice the FUN! We will be going to the house this evening to hopefully capture more photos! In the meantime, I shall update you on the existing situation. The insulation has been sprayed in, so today should have been the sheet rocking day. Hopefully when we arrive this evening we will see a whole lot of sheet rocking going on! I shall return with photos in hand (well, they will be on the blog, but you know what I mean). I am standing in the living area pointing camera toward front door (which is on the East side of house) back door and patio are behind me (West side). 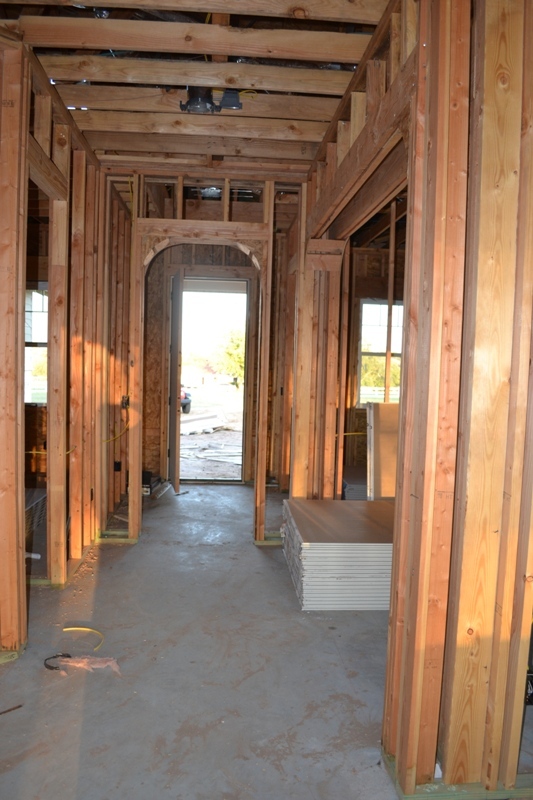 Moving forward toward front door, to my right (South side) is the living area. Then forward on the right is the dining area (to the left is a small closet) and forward again, to the right, is the office, which is by the front door. 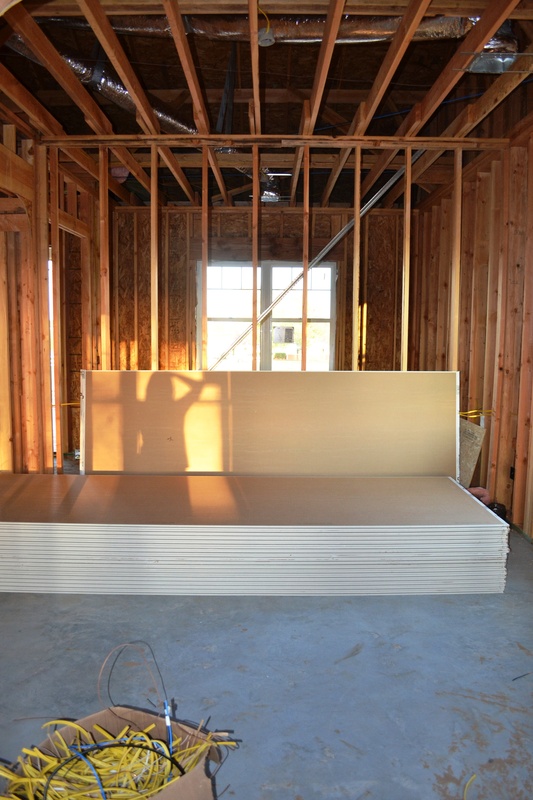 Ghostly image of a lady taking photo of newly delivered sheet rock! Okay. 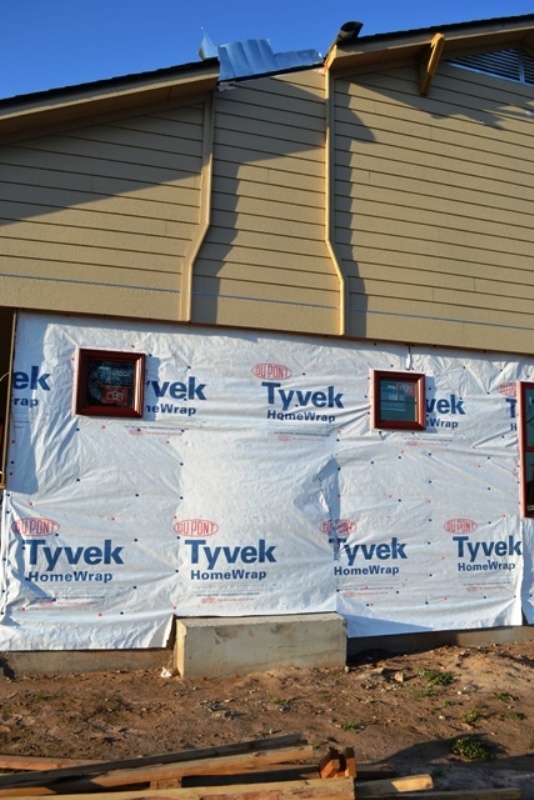 Siding is complete. Next step is brick and rock. 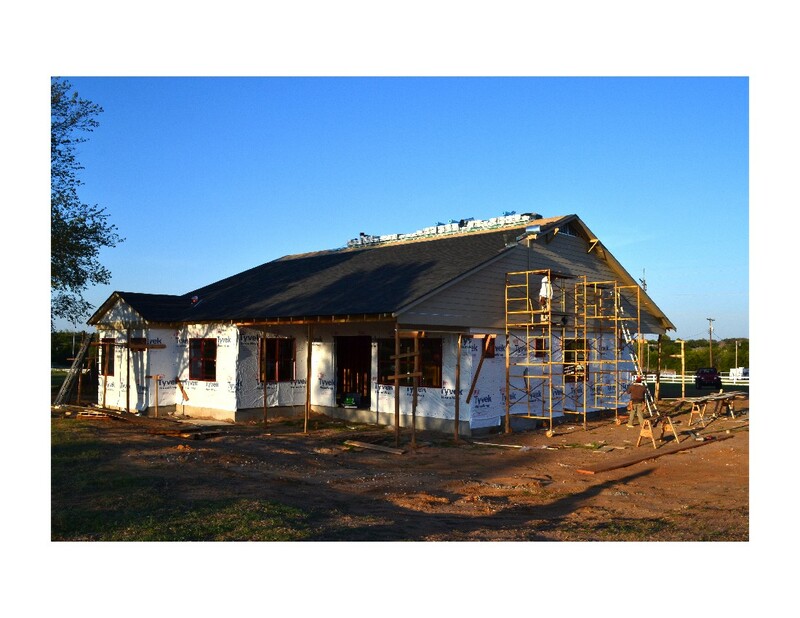 Just a minute ago our builder advised that the water well, the brick, the heat/air, the sound system/alarm…is all due to be installed by next week. We are moving pretty quickly at this stage. 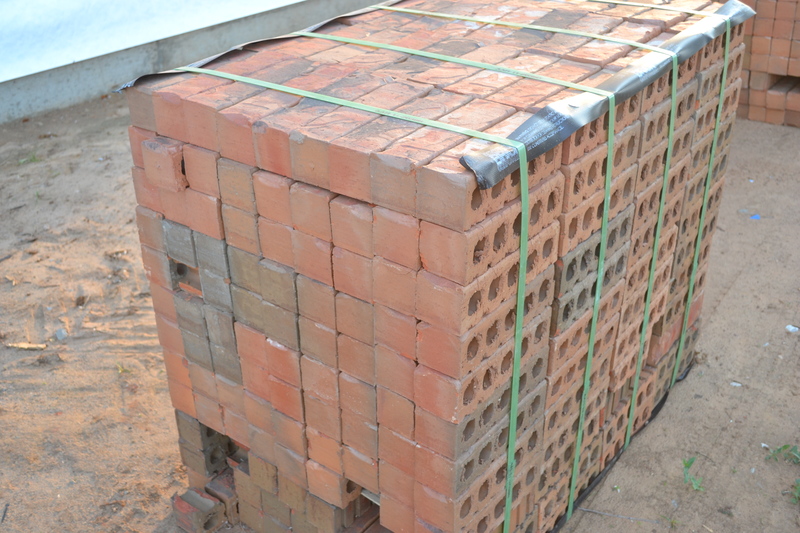 Once brick goes up OR water well is installed, I will update with new photo. 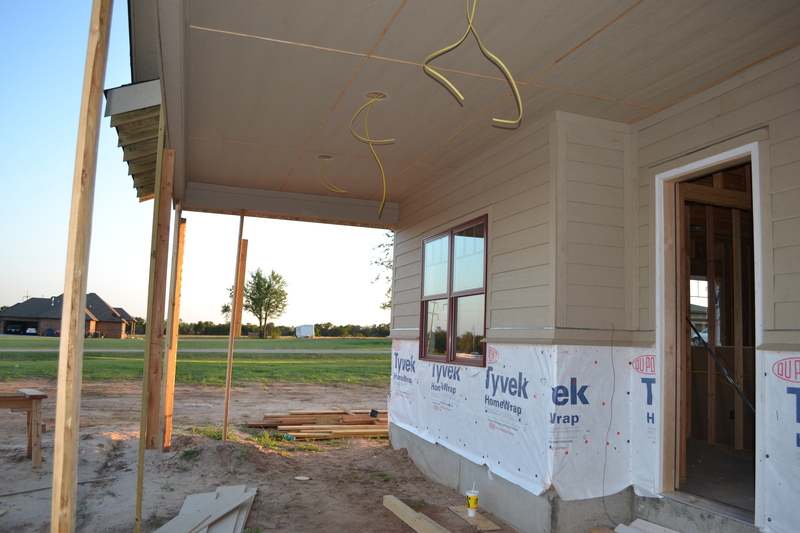 The siding is going up and will be painted a light green and trim will be a darker green. 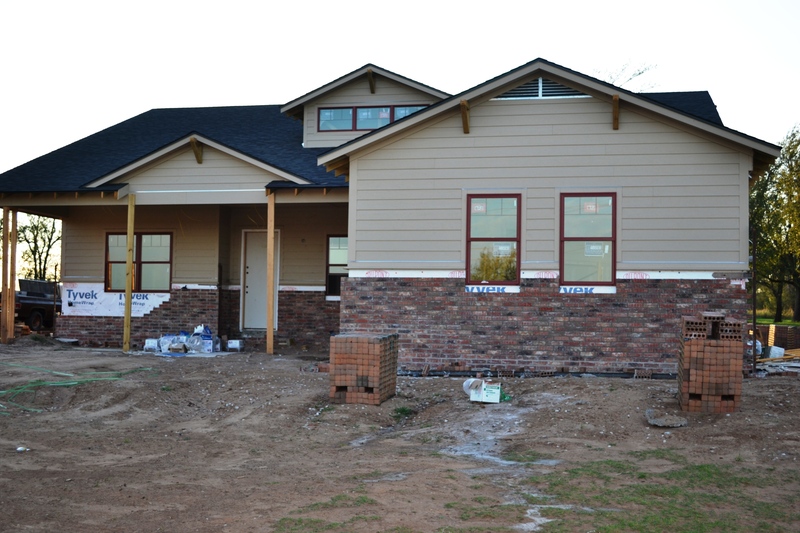 Just under the siding there will be brick, capped with rock. The beautiful Autumn colored windows are in, all around the house! 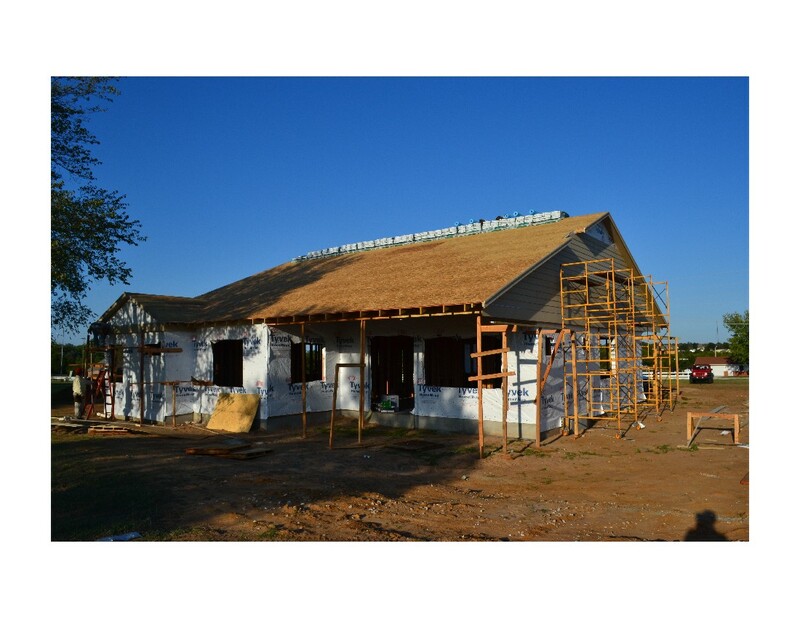 The shingles were being added as we were leaving the site. We must go earlier…and sneak up on the house, so the Sun won’t know we are there. That’s what we shall do. Look! On top of the roof! What is it? Stopped by the bungalow (last evening) and saw our awesome craftsmen working diligently. We were just getting ready to leave, when we looked… and out of the corner of our eyes (not sure what that means, but have always wanted to say it) we saw our WINDOWS (beautiful, beautiful, Autumn colored, on the outside and white on the inside) lined up, all nice and cozy, and well secured, I might add…in our garage! 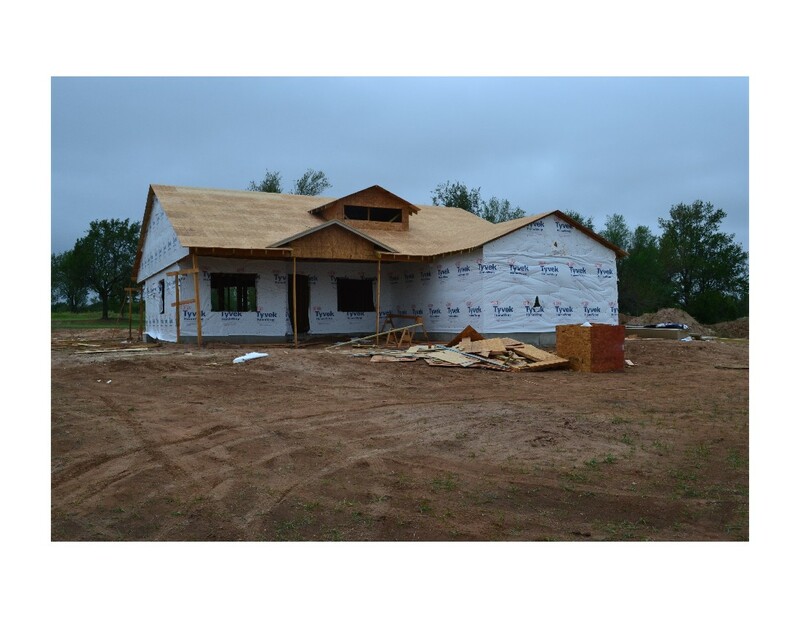 So, just today, we were told that the roof shingles are being delivered TODAY and we are making an appointment with the Electrician to go over where we want all our outlets placed, this coming week! Will update with more PHOTOS ASAP! On a rainy, dreary day, we stopped by and what to our wondering eyes should appear ? The roof decking is complete! 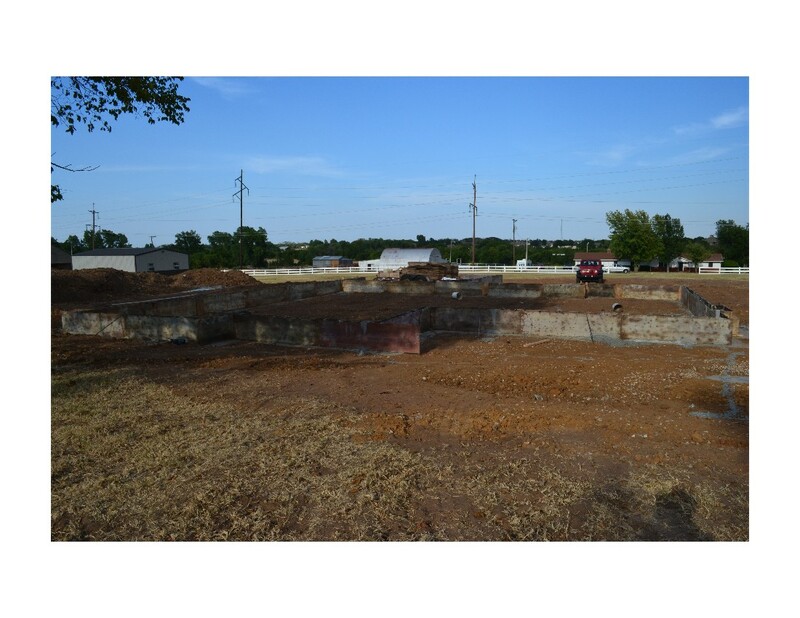 We are currently in a stage of the building process that is more detailed and will take a little longer to complete. 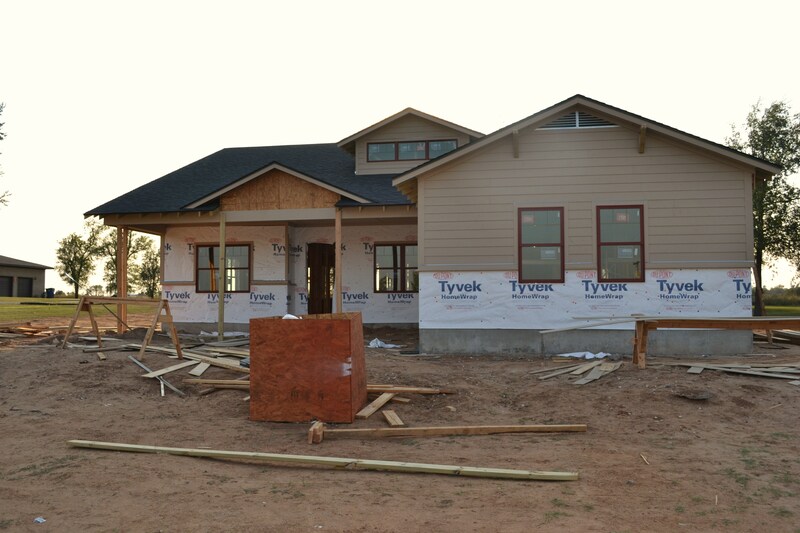 The porches are beginning to come to life, and they shall, once the concrete is poured and the railings go up! Believe it or not…all of this was done in just one day! AND they were still going at it after we took this photo. Will take another photo on 9-4th. 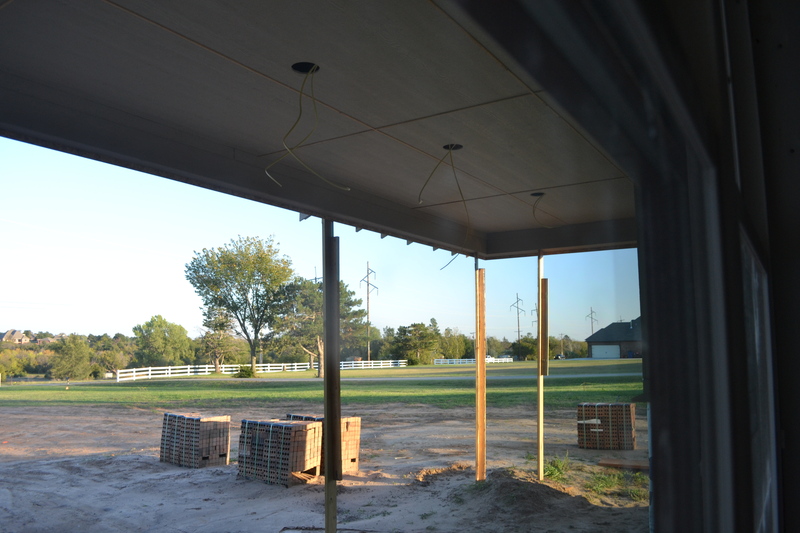 The electricity has been hooked up…so the next step will be to start putting up those boards! 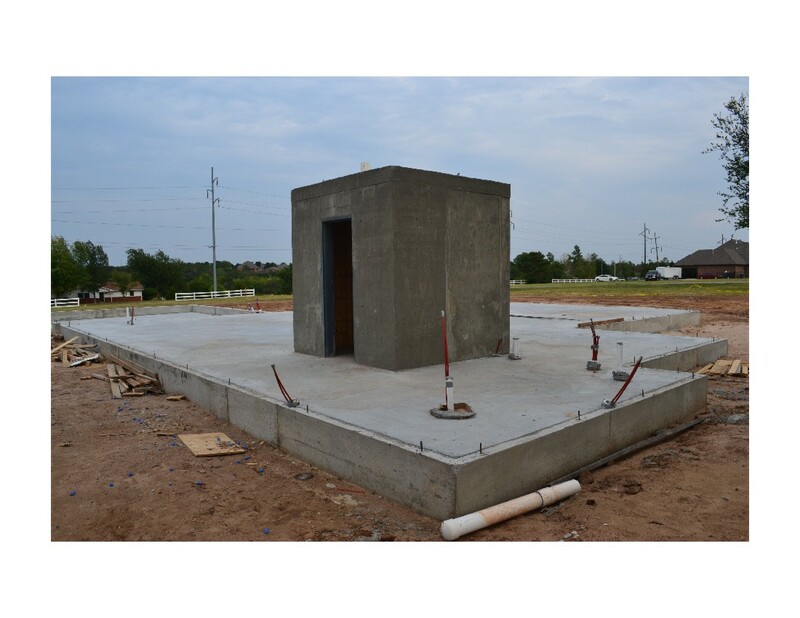 After a few days of rain and waiting to dry…the safe room is now ready to move forward. 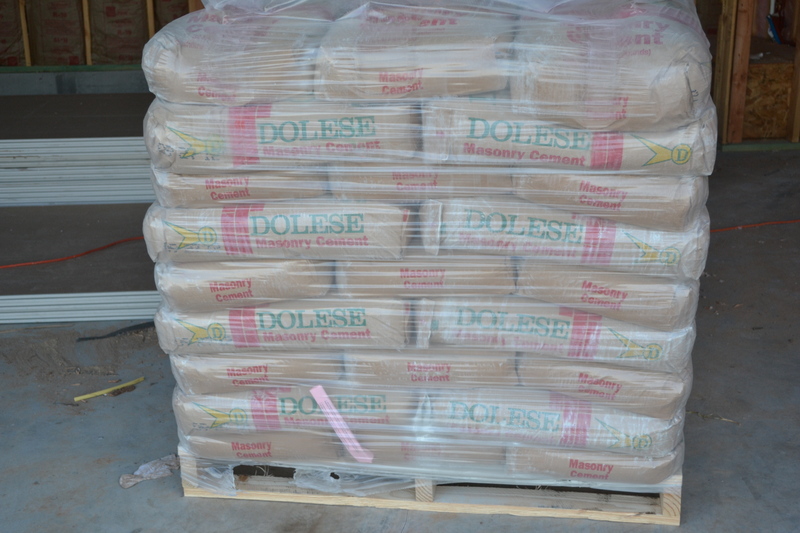 Rumor has it the wood will be delivered…Monday, Tuesday? I know. Looks like the house is going to be tiny, doesn’t it ? Tis not so. The house will be 2100 plus sq. ft. 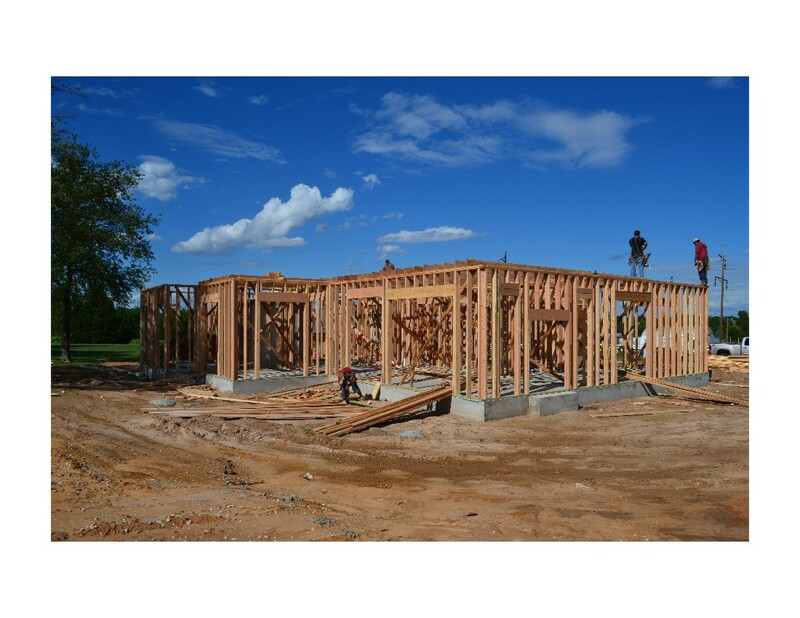 It will be exciting to see the frame go up! 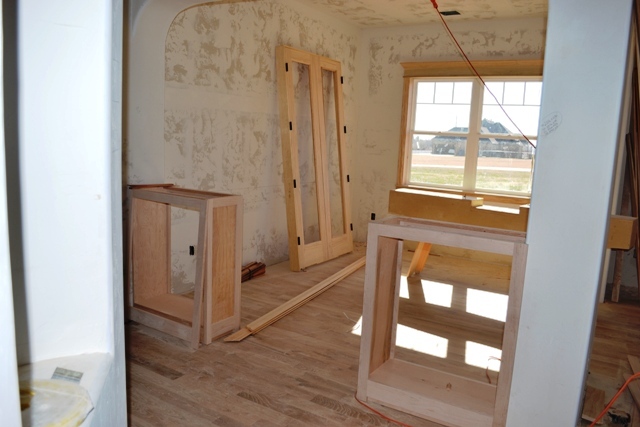 The Safe Room is being Framed! A few steps involved in this process. 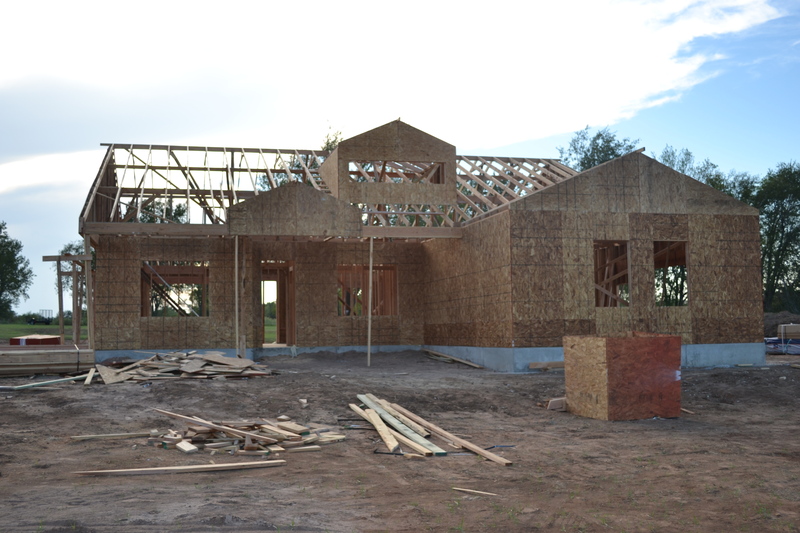 Then the Framers will begin framing and the house will start to look like a HOUSE. Look at that! Our house is beginning to come together. 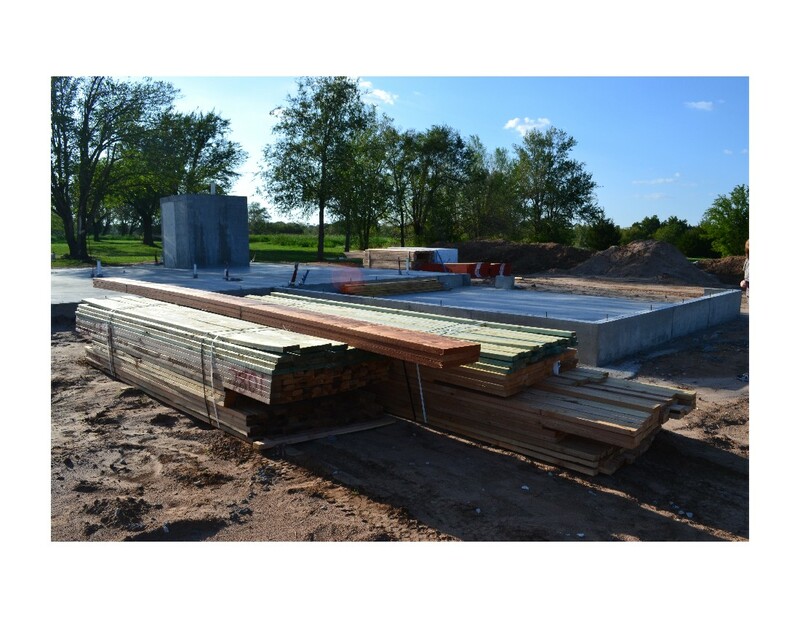 The concrete truck showed up on Monday and poured our slab! So far we are moving right along. 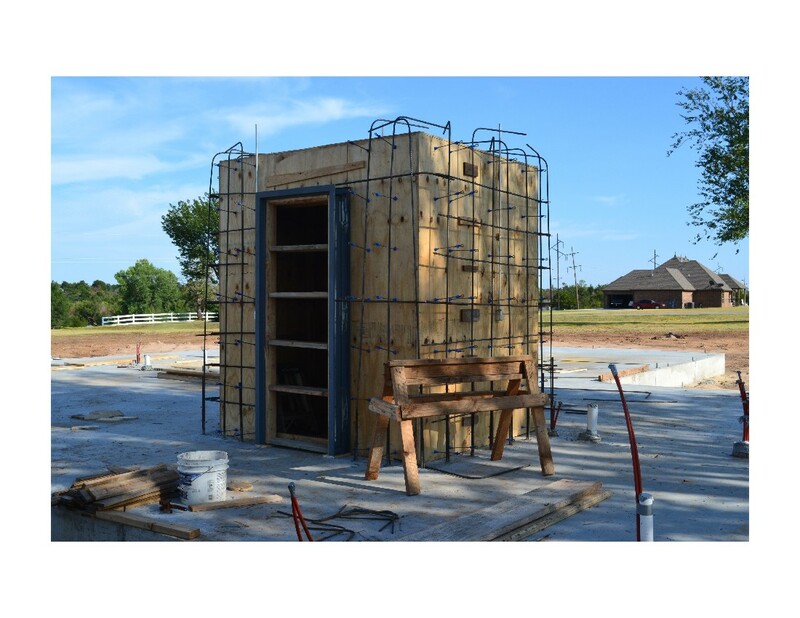 The safe room is scheduled to be installed on Thursday, if the weather holds up. 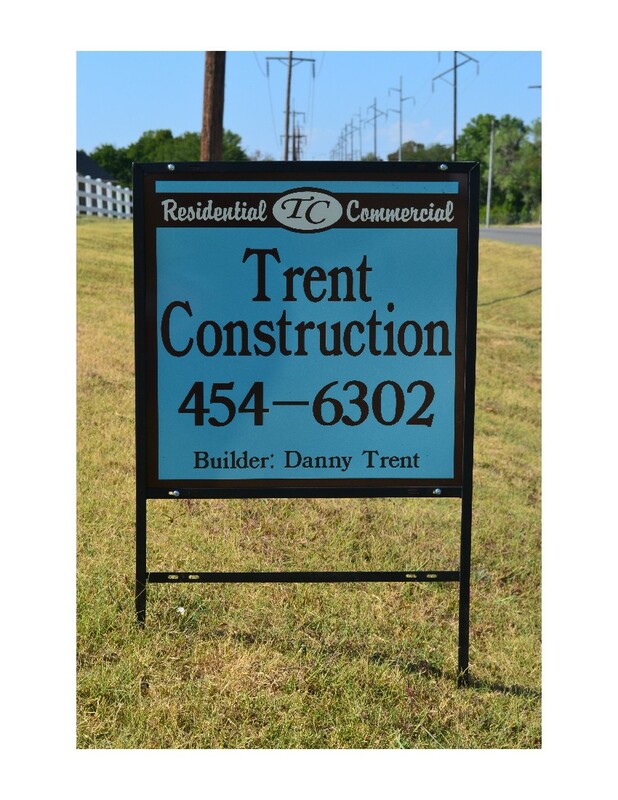 Our contractor is Danny Trent. He is an awesome builder! Even better, he is an awesome person. 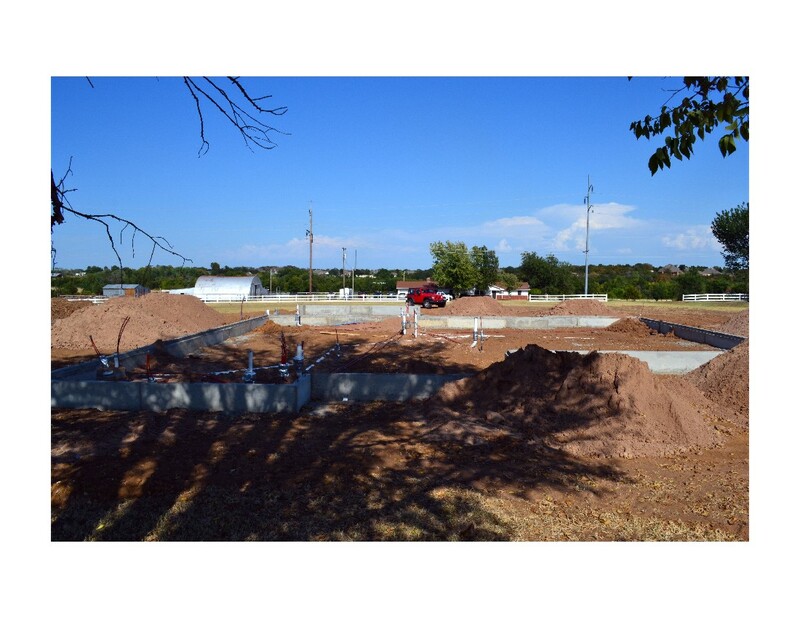 The next step will be the concrete truck pouring the floor (which will happen on Monday)! The photo is a little dark due to the time of evening we were able to take this picture. 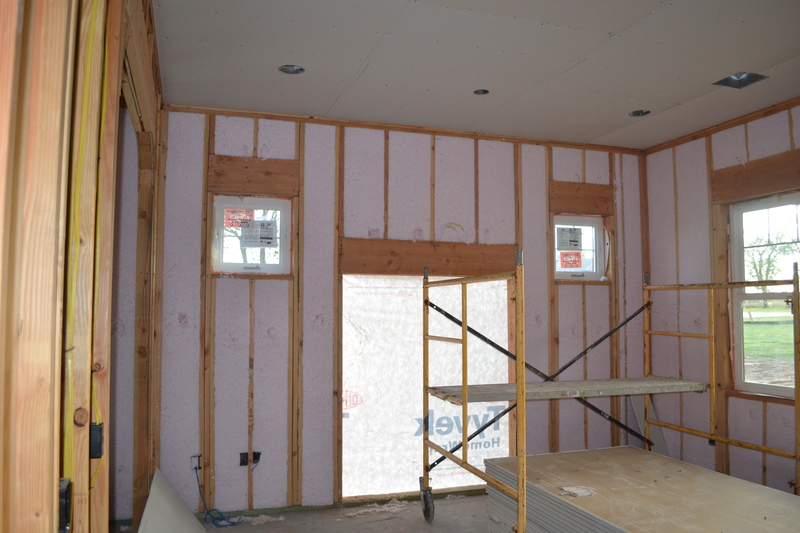 However, here it is…the stem walls to our house! Here it is. The footing! Our house SOLD and we have been moving into our temporary dwelling! 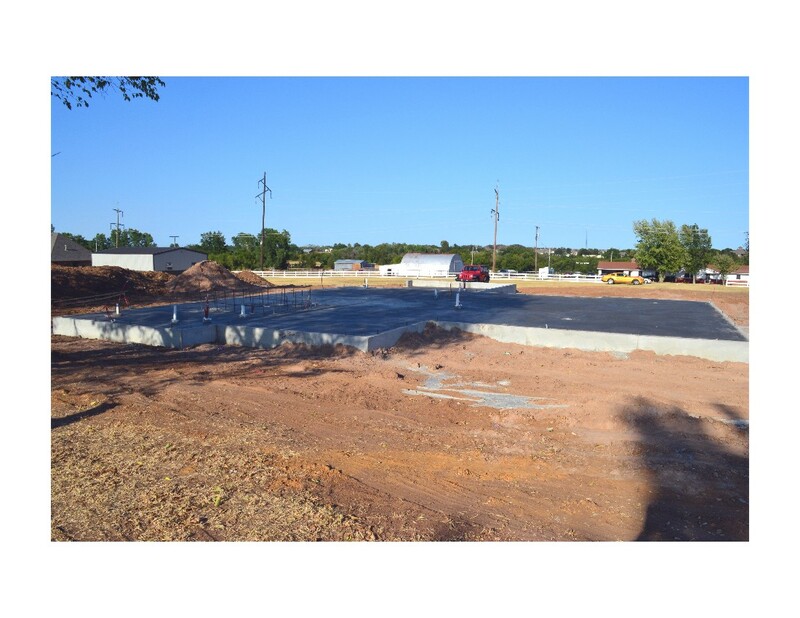 However, we did drive by our lot and to our HAPPY surprise, the footing has been poured (photos coming soon) and we are anticipating more progress this evening. Will post any photos we can capture…this evening. Here it is! 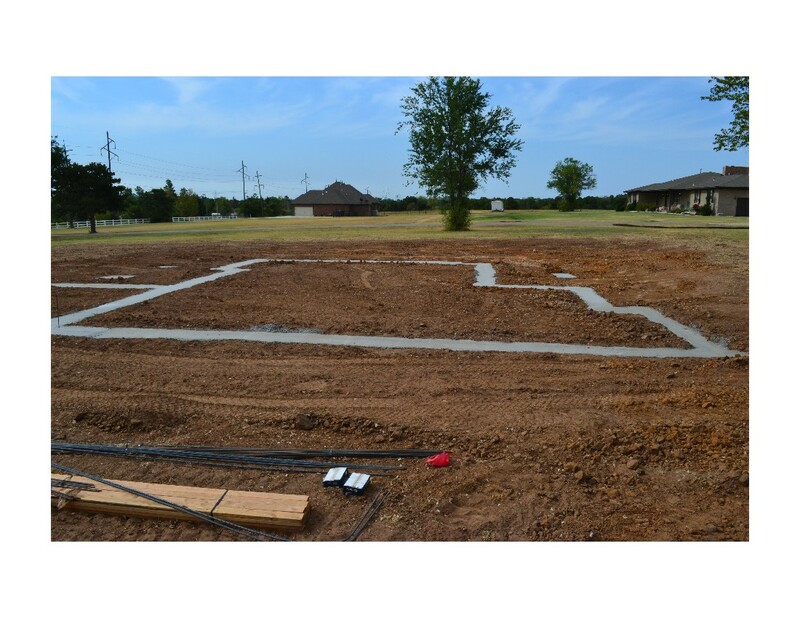 The beginning of our house! 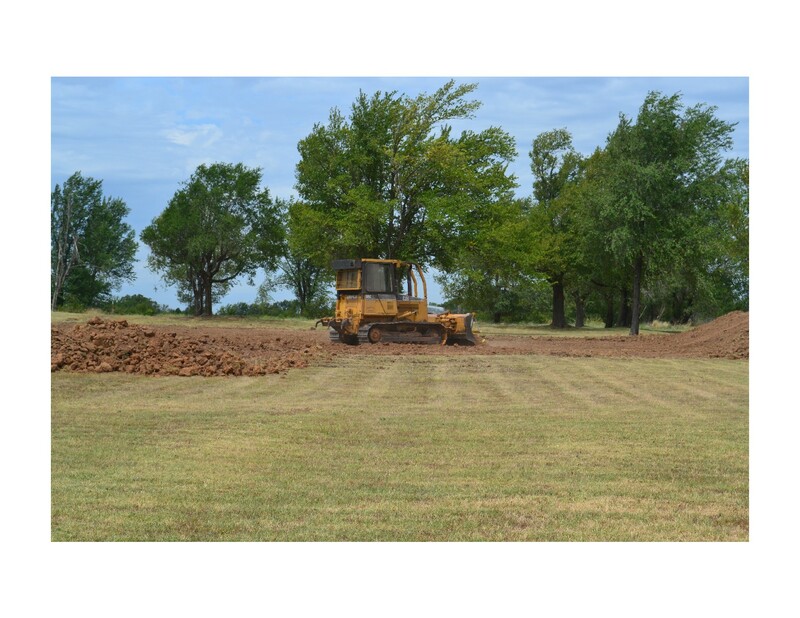 Our land is being prepped for our awesome new Ranch Bungalow!